THREE YEARS AFTER the Islamic State’s brutal offensive in Iraq, and with no end in sight to the civil war raging in Syria after six years of conflict, the Middle East is confronting new waves of fundamentalism and fascism. At the same time, the West has made a dramatic turn inward, with potentially disastrous consequences for its role in the international community. 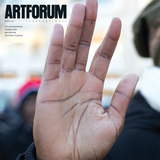 Now, when art’s critical engagement and resistance are so acutely needed, Artforum invited art historian Nasser Rabbat to reflect on two recent exhibitions in Beirut that offer a glimpse of a more cosmopolitan future. 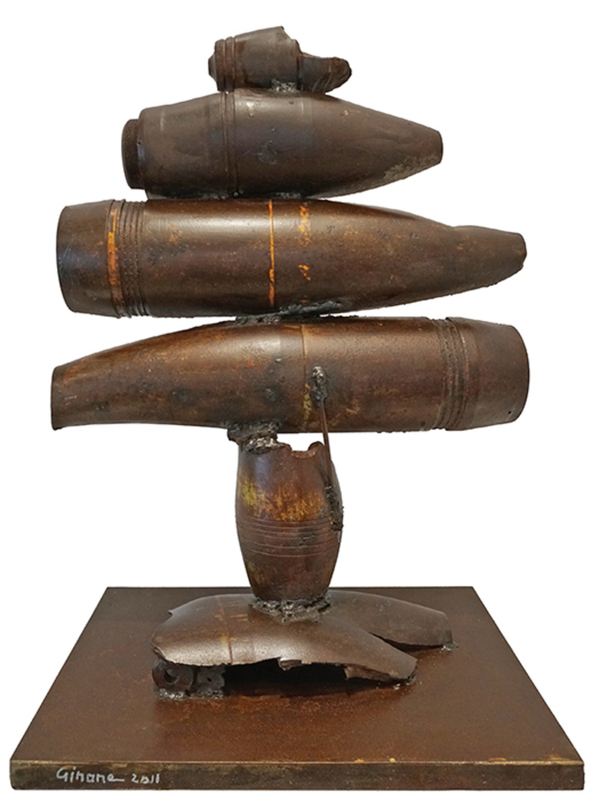 Ginane Makki Bacho, Cedar, 2011, shrapnel, 32 1/4 × 23 5/8 × 16 1/8". From the series “Cedars,” 2010–16.